The Swedish Supreme Court has declined to hear the latest, and possibly last, appeal of Christer and Annie Johansson to be reunited with their son. This ruling paves the way for the parents to appeal to the European Court of Human Rights, but that court has not been favorable to this family or to homeschooling-related claims. This unfortunate precedent casts a dark shadow on the hopes of the Johanssons to be reunited with their son, Domenic, who was snatched by authorities seven years ago. The family has been denied contact with their son for the past five years. The Johanssons have been represented by attorney Ruby Harrold-Claesson, who is president of the Nordic Committee Human Rights. Claesson represents many families in conflict with Swedish Social Services and has won several judgements from the European Court of Human Rights. She informed HSLDA of the court’s decision, adding that the members seemed ready to reject the appeal by responding very quickly with a denial. HSLDA’s Director of Global Outreach Michael Donnelly also commented on the decision. 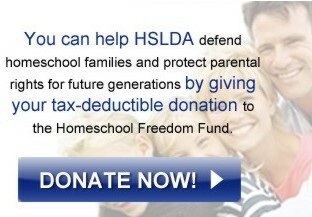 Donnelly said that HSLDA will continue to help the family. Roger Kiska, senior counsel for Alliance Defending Freedom, noted that the case demonstrates a hardness in Europe against homeschooling and families.